Survival horror fans will be running and hiding from The Evil Within's many deranged monsters this August. Horror franchises don't usually have the best shelf life, as sequels to Resident Evil, Dead Space and Amnesia have shown. That's why survival horror fans are always on the lookout for the next big thing, which at the moment appears to be Shinji Mikami's The Evil Within. While there's still a significant wait before we can finally crack into the game, the release date is finally in sight: Bethesda and Zenimax will launch The Evil Within for PC, PlayStation, and Xbox platforms on August 26, 2014. 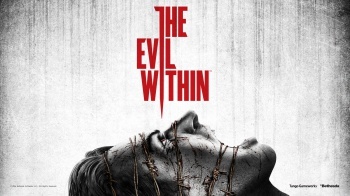 The Evil Within introduces Sebastian Castellanos, a police detective investigating a mass murder who he discovers a world of monstrous creatures out for his blood. Other games journalists have already noted that The Evil Within offers a more tense experience than most Triple-A horror games, emphasizing running and hiding over repetitive combat alongside creepy visual and an atmospheric soundtrack. The multiplatform release on PC and all home consoles is also very encouraging, as you won't need to wait even longer for it to arrive on your preferred system. Here's hoping The Evil Within is as frightening as it looks, and that it doesn't pull a Resident Evil 6 a few years down the road.